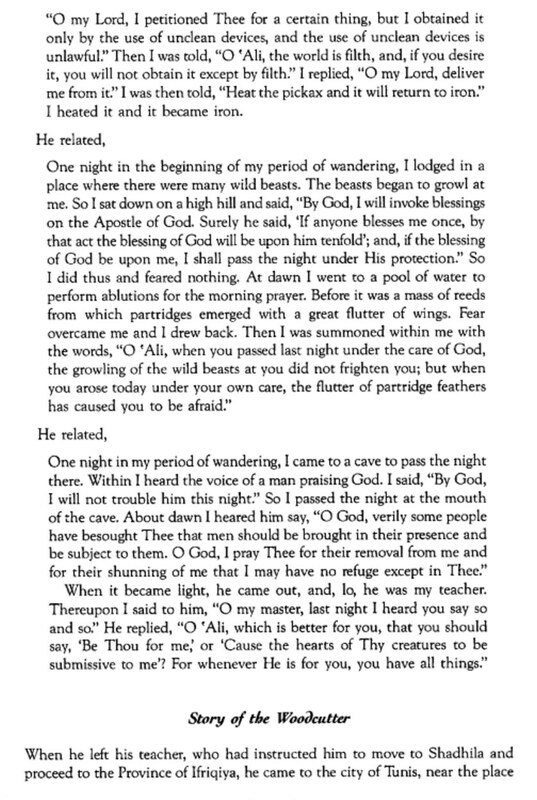 there was brought together in my possession material the hearing of which is a source of delight, and the collection of which is something rare. 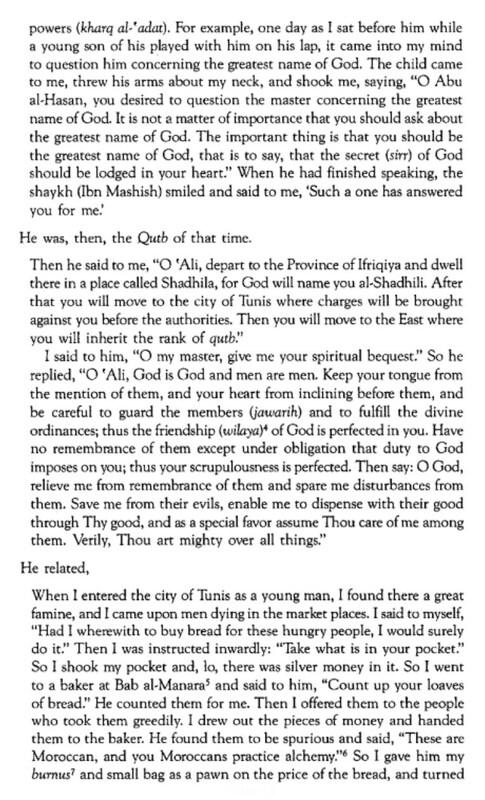 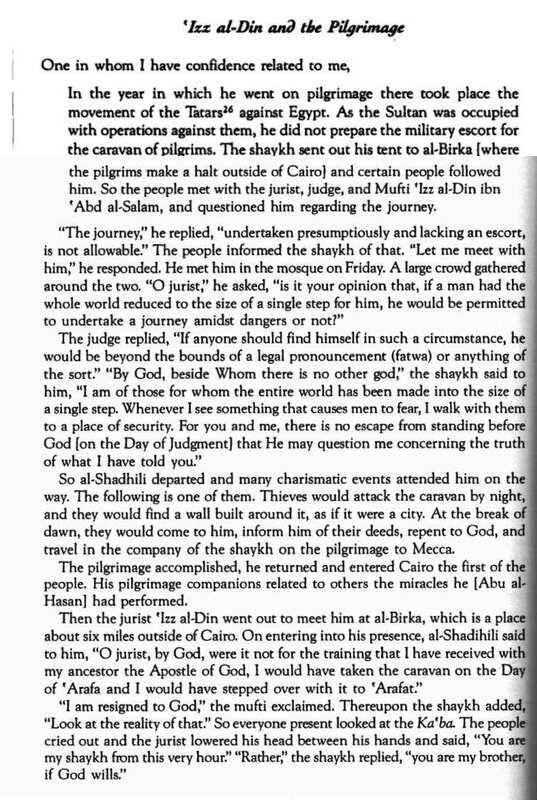 Chapter 2 concerns his correspondence with his disciples in the Province of Ifriqiya. 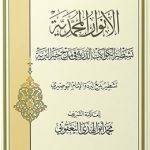 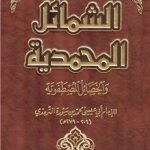 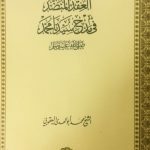 Chapter 3 contains an account of his supplications (da´awat), his devotional recitations (adhkar), and his prayers or orientation (tawajjuhat). 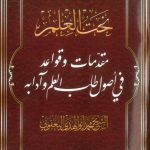 Chapter 4 treats his opinions, his teaching on sufism and the inner reality (haqiqa) of the faith, and his injunctions upon his companions. 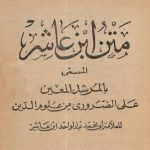 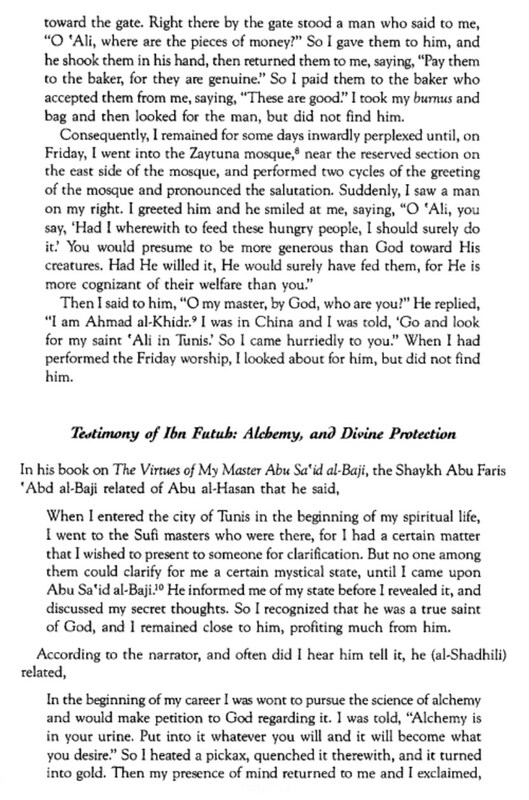 I have entitled the work Durrat al-asrar wa tuhfat al-abrar [The Pearl of Mysteries and the Treasure of the Righteous], concerning the states and stations, extraordinary powers and divine gifts, supplications and devotional recitations that have been attributed to our master, the shaykh, the saint, the gnostic, the one with true knowledge, the trustworthy, the Qutb, the Ghawth, Abu al-Hasan ‘Ali, in order that its appellation may be in accord with the work indicated by the name and conformable to its significance. 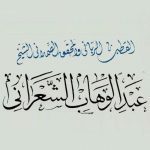 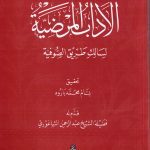 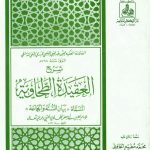 There is, likewise, internal evidence that the author borrowed much from the Lata’if al-minan of Ibn ‘Ata’ Allah as-Sakandarani – may Allah be pleased with them all. 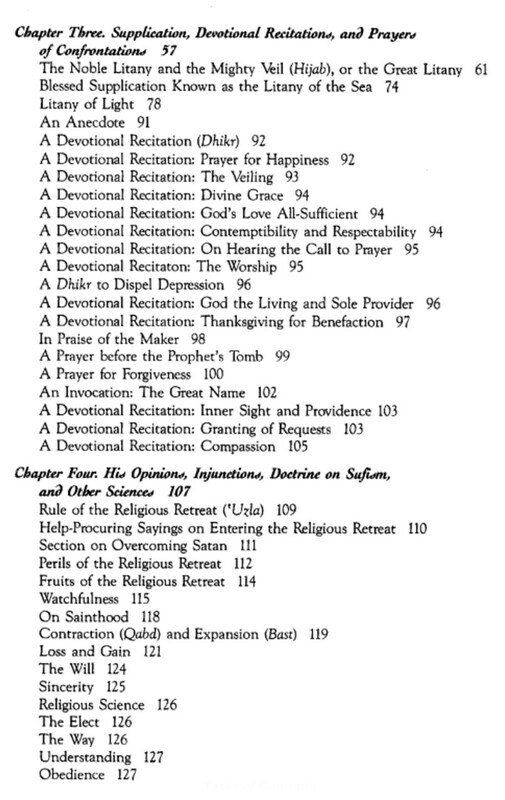 The author divides his book into five chapters. 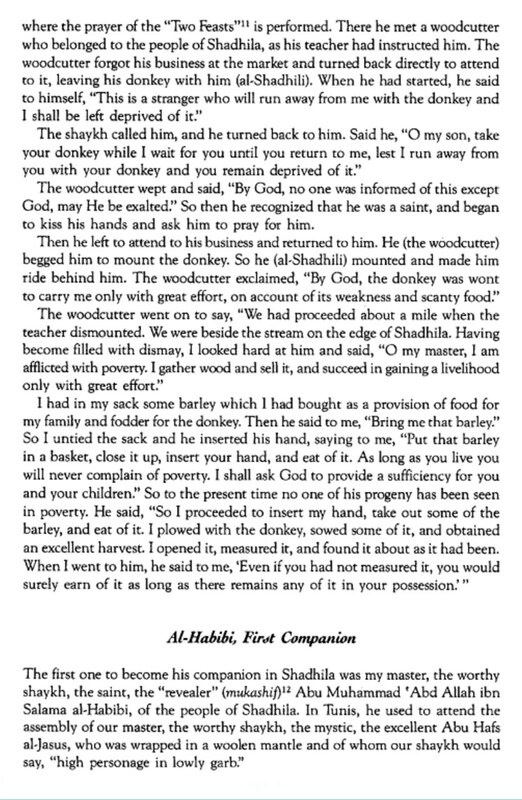 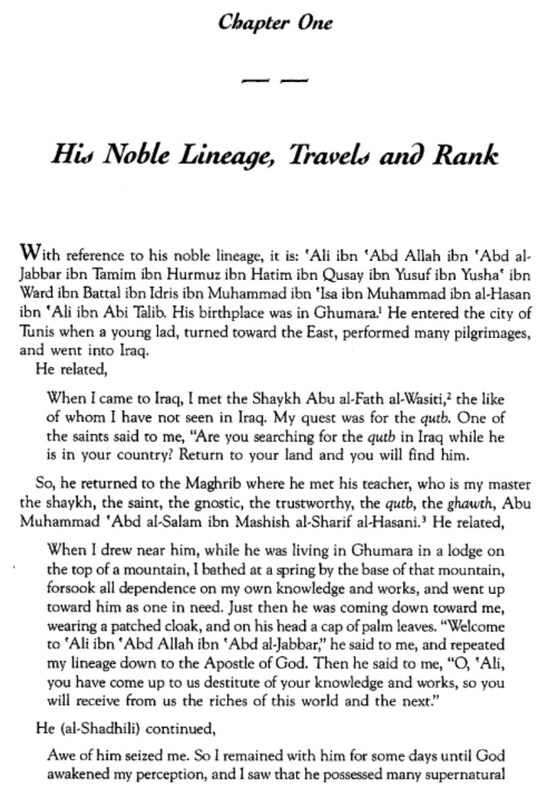 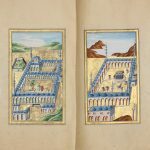 Chapter 1 recounts the story of al-Shadhili’s career. 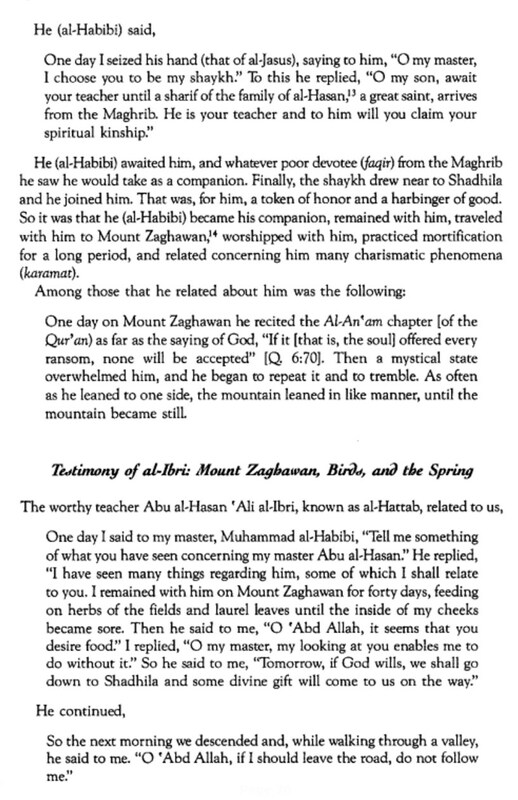 Chapter 2 reveals correspondence with his disciples. 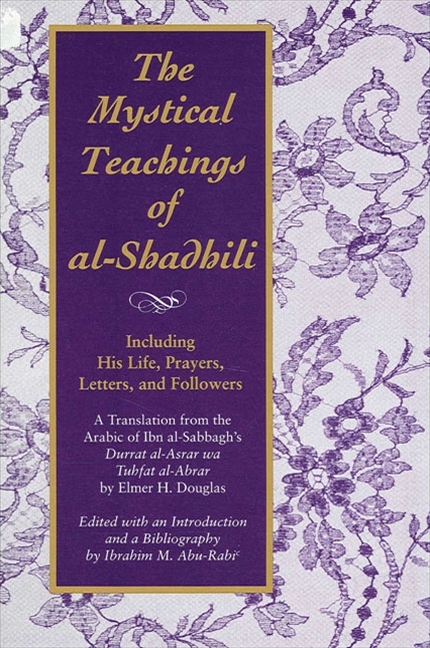 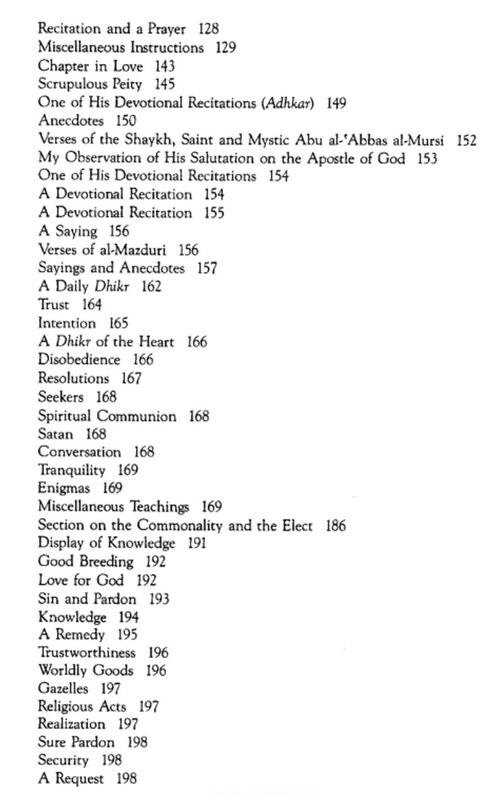 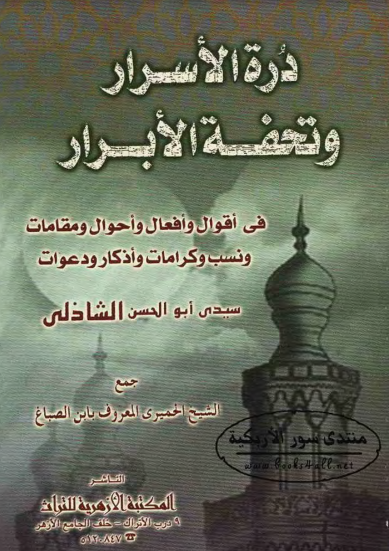 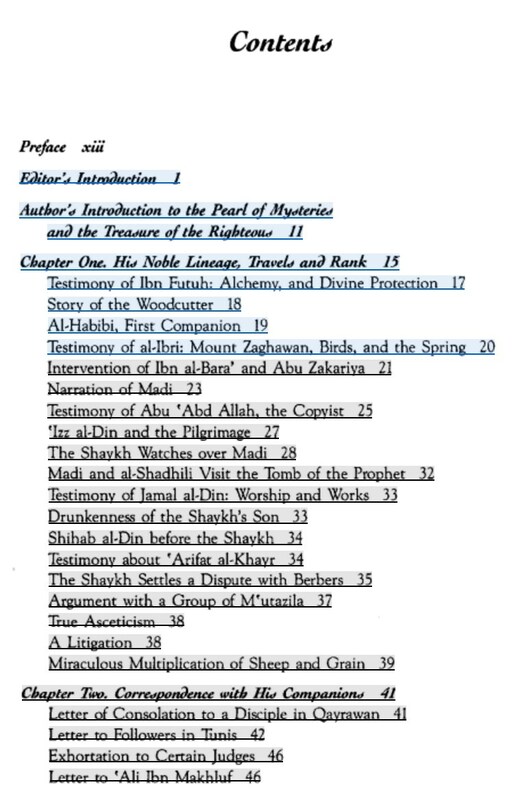 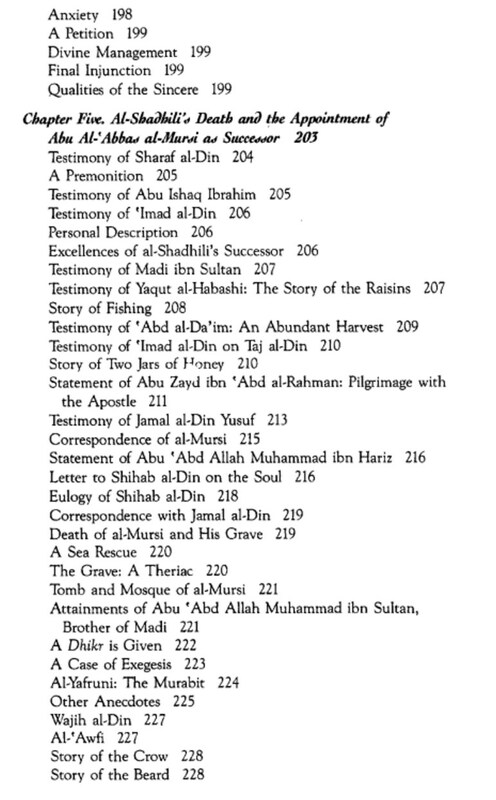 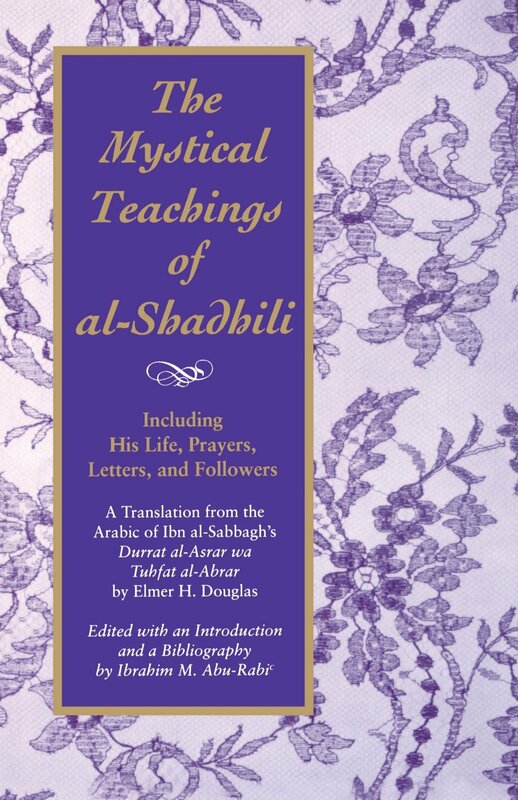 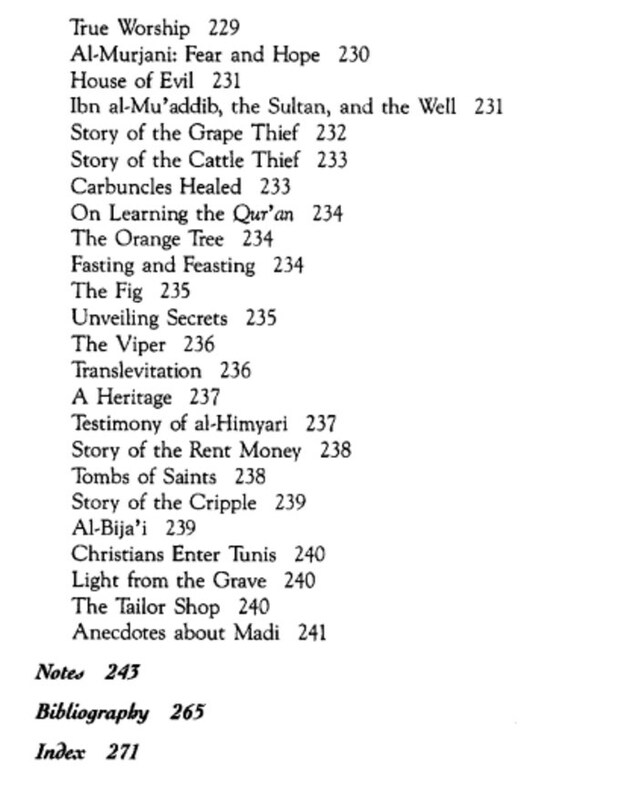 Chapter 3 contains litanies and prayers attributed to al-Shadhili. 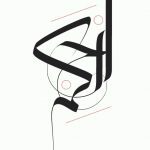 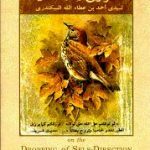 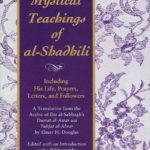 Chapter 4 the longest, is composed of the master’s teachings that resemble, in general, those of early Muslim mystics—for example, al-Qushayri. 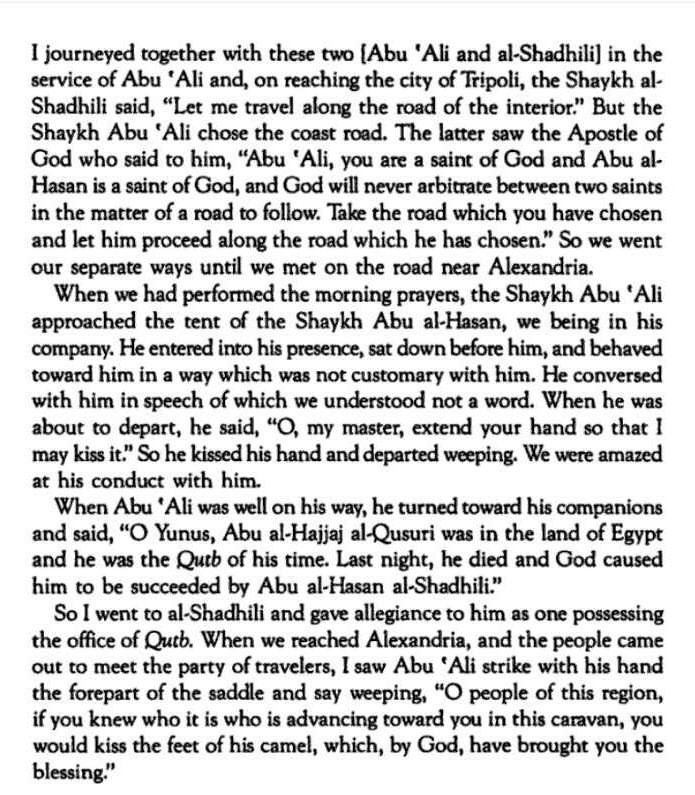 Chapter 5 indicates al-Shadhili’s death, and relates many deeds and teachings of his Epyptian successor, Abu al-`Abbas al-Mursi.